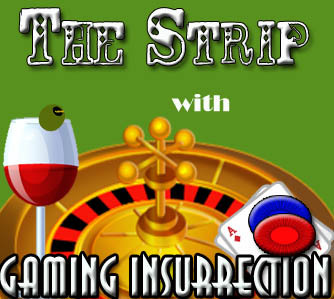 Gam­ing Insurrection’s edi­tors dis­cuss their favorite — and not so favorite — comic book issues. Con­sider this a sup­ple­ment to Strip Talk: the col­umn by editor-in-chief Lyn­d­sey Mosley. Call it what you will, but these edi­tors know comics. Mature lan­guage warn­ing: The fol­low­ing pod­casts are intended for mature audi­ences only. Pod­casts may con­tain coarse lan­guage and con­tent. Lis­tener dis­cre­tion is advised. Strip Talk Pod­cast #11: Lyn­d­sey fully fleshes out the con­cept of Too Many Vil­lains Syn­drome and what it means for the prop­erty review sub­ject for the quar­ter, Bat­man Returns. Tenchi Muyo Vol. 3 is cov­ered in Otaku Cor­ner and Toradora is fin­ished in Anime Lounge. Strip Talk Pod­cast #10: Editor-in-chief Lyn­d­sey Hicks’ love for comics found a way to tran­scend its con­fines and move into anime. Thus, you have Anime Lounge. Also, on tap is Ten­hjo Tenge in Otaku Cor­ner, Jun­jou Roman­tica in Anime Lounge and Afro Samu­rai in the prop­erty review. Strip Talk Pod­cast #09: Lyn­d­sey talks about the moral fail­ings of X-Men leader Charles Xavier and the strange case of Dr. Strange, obscure hero of Avengers fame. Also, the awe­some­ness that is Death Note is noted. Strip Talk Pod­cast #08: Lyn­d­sey takes the trend of bash­ing direct comic book films to task. Also, Tenchi Muyo and Ulti­mate Avengers are discussed. Strip Talk pod­cast #07: In an ongo­ing dis­cus­sion about race and comic books, edi­tors Lyn­d­sey and Jamie talk about the need for more minori­ties in comics today. Sure, you have your well known super­heroes such as Storm and Luke Cage but what about the unknowns? That ques­tion car­ries over into the Top 5 list. In Otaku this quar­ter there’s a lit­tle break­down of Devil May Cry 3 Vol. 1 and there’s a review of the Watch­men film in the prop­erty review and Mar­row gets the Mar­vel char­ac­ter high­light treat­ment. Strip Talk pod­cast #06: Lyn­d­sey and Jamie talk about what it takes to make heroes and vil­lains in comics. In the prop­erty review, the clas­sic Fox car­toon X-Men the Ani­mated Series is reviewed and the mer­its of Sat­ur­day morn­ing good­ness as pro­vided by the X-Men are debated. Also on tap is Robot­ech for Otaku, Mag­neto in the Mar­vel char­ac­ter high­light and finally, some of the worst comic book movies of all time are dis­sected in the Top 5 list. Strip Talk pod­cast #05: Edi­tor Lyn­d­sey gets a lit­tle salty about just what she expects from her comic book flicks. No stone is left unturned as she and Asso­ciate Edi­tor Jamie dis­cuss just about every comic book movie that’s been released and failed mis­er­ably to live up to its hype. “The Spirit” fea­tur­ing Samuel L. Jack­son gets the prop­erty review treat­ment, and the duo dis­cusses X-Men fan favorite Rogue for the Mar­vel char­ac­ter high­light. The Top 5 list for the quar­ter fea­tures the most use­less hero. Who will win the not-so-coveted title? Strip Talk pod­cast #04: Edi­tor Lyn­d­sey and Asso­ciate Edi­tor Jamie rem­i­nisce about the days when the Teenage Mutant Ninja Tur­tles were at the height of their pop­u­lar­ity. The 1987 ani­mated TV show, comics and games are dis­cussed in a catch-all pod­cast fea­tured in Gam­ing Insurrection’s issue focus­ing on the four lov­able amphib­ians. Strip Talk pod­cast #02: Edi­tor Lyn­d­sey and Asso­ciate Edi­tor Jamie talk about the con­cept of the “stupid-smart vil­lain”: A vil­lain so smart that they’re capa­ble of com­mit­ting self-defeating acts that derail their plans out of sheer stupidity. Strip Talk pod­cast #01: Edi­tor Lyn­d­sey and Asso­ciate Edi­tor Jamie dis­cuss Lyndsey’s col­umn about the preva­lence of the Phoenix Saga in Marvel’s X-Men series. Other top­ics of dis­cus­sion include the the­ory of too many vil­lains in comic book movies and the par­o­dies of Mar­vel and anime prop­er­ties by My Way Entertainment.